More watchful eyes may be monitoring the Animas River from Oxbow Park to 33rd Street next summer to help and to educate paddlers. 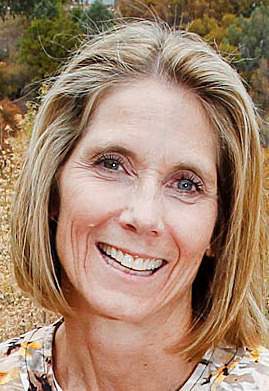 Durango Parks and Recreation Department Director Cathy Metz envisions volunteer river ambassadors on the water helping those in need and acting as liaisons between paddlers and the authorities. “It will be a good program to get more presence on the river itself,” Metz said. The area between Oxbow Park and 33rd Street has historically been contentious because members of the public have been trespassing across private property to access the river before Oxbow Park was annexed. The city started managing Oxbow Park this year and has started an educational campaign to let people know much of the property along the river is private. This river ambassador program is a next step. Ambassadors would have to be certified to perform CPR and first-aid to help river users. They also would help educate paddlers about staying in their craft. While the public does have the right to float, it is considered trespassing when boaters walk along the shore, Metz said. Ambassadors would call in to park rangers and police to handle particularly disorderly members of the public. The Parks and Recreation Department has built the program into its 2015 budget request to the City Council, and Metz hopes to hire someone who would coordinate the program, among many other responsibilities. If the position isn’t funded, the ambassador program would likely still move forward, Metz said. The city is planning to partner with 4Corners River Sports to loan gear to volunteers who need it. The company also may offer discounts on gear to volunteers who make a significant time commitment to working on the river, said Tony Miely, co-owner of 4Corners River Sports. He is hoping the program will help address the ongoing issues along the river and help ensure public access continues. “Public access on rivers is something we fought (to secure) for a long time,” he said. The city is looking for experienced paddlers who can commit to four-hour shifts to volunteer. The department will start seriously recruiting in the spring.